On Friday, May 11th we’ll be heading to Bingemans for some mini golf fun, Jr. Highs! We’re giving you an incredible deal… for only $10 per person you get 18 holes of mini golf PLUS 20 arcade tokens! WOW! This will be a great event to bring your friends to. 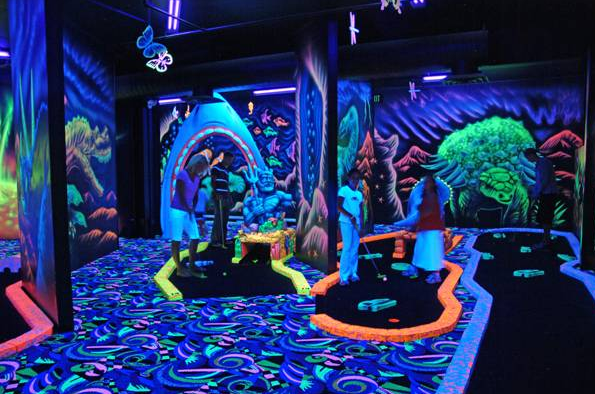 Bingemans “Hole in Fun” mini golf course features 18 holes that are “drenched in fluorescent graphics creating an environment that is out of this world”. PLUS Bingemans has a fantastic arcade and we’ll give each person 20 tokens (most games take 2-4 tokens) to play whatever games they want! Be sure to bring extra cash if you would like to buy something from the snack bar (we have found that it’s actually fairly reasonably priced!) or would like to get extra arcade tokens. REMINDER: Please be sure to always stay with a buddy or two (even when heading to the washroom) and make sure a leader knows where you are at all times!